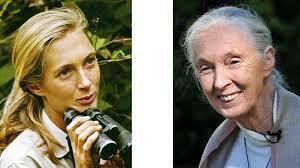 Jane Goodall Has Been Nominated for a Nobel Peace Prize! Scientists and conservationists argue that primatologist Jane Goodall should receive the Nobel Peace Prize in 2019. Goodall’s groundbreaking research uncovered startling revelations, including tool use by chimpanzees, that blurred the lines between humans and animals. Goodall, a U.N. Messenger of Peace, now travels around the world to encourage living in harmony with the natural world. More than 30 scientists and leaders in environmental conservation are calling for the Norwegian Nobel Committee to award Jane Goodall with the 2019 Nobel Peace Prize. Citing the 84-year-old primatologist’s groundbreaking discoveries in the 1960s that blurred the lines between animals and humans, such as tool use in chimpanzees, as well as her ongoing, decades-long campaign to protect our planet, the group argues that her life’s work has been a quest for global harmony. 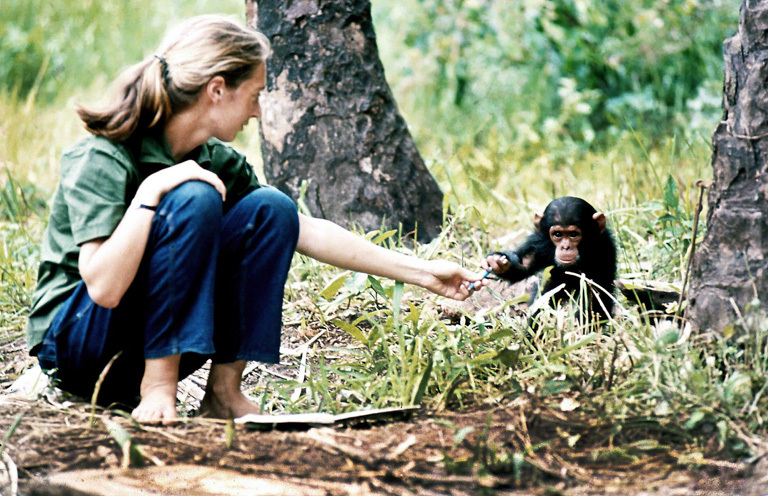 Young researcher Jane Goodall with baby chimpanzee Flint at Gombe Stream Research Center in Tanzania. Image © the Jane Goodall Institute/Hugo van Lawick. Her early work studying chimpanzees in Gombe National Park, situated in what would become Tanzania, revealed that “our similarities with animals are far greater than are our differences,” writes the group of researchers, authors and teachers from 16 countries, on the website Change.org. “We must see ourselves as partners not only with other humans, but also with chimpanzees and all the other creatures who walk, swim, crawl, and fly on the face of the earth,” they add. At the time of publication, more than 2,600 people had signed the online petition in support of the prize for Goodall. 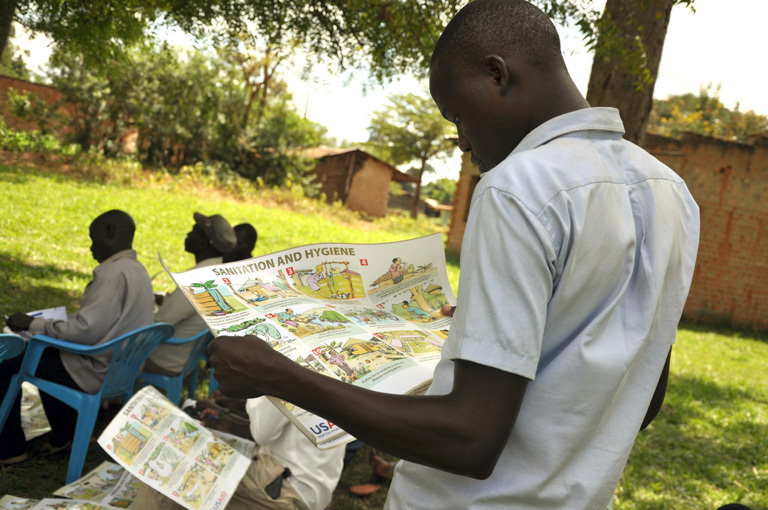 Moses Andama, a community forest monitor and a resident of Nyantonzi in Uganda, with water, sanitation and hygiene reading material distributed in his community by the Jane Goodall Institute. Image © the Jane Goodall Institute Uganda/Apophia Jemimah. The coalition argues that Goodall’s work demonstrates the importance of a broad interpretation of what peace on Earth means. Today, as she has for decades, Goodall travels some 300 days a year, speaking as an advocate for the environment and as a United Nations Messenger of Peace. Her message, though one of warning that humanity and the planet on which we depend are at a crossroads, is also flecked with hope that all is not lost. 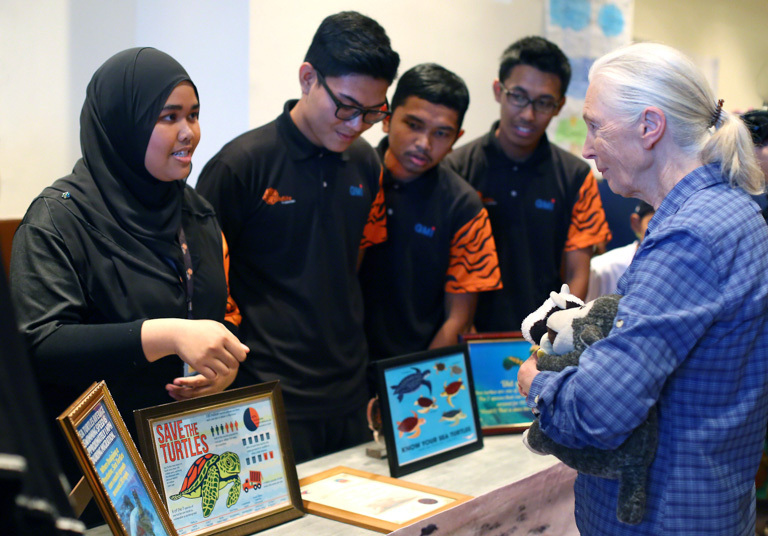 Students from Wildlife Warriors share their Roots & Shoots project with Jane Goodall in Kuala Lumpur, Malaysia. Image by the Photoz — Roots & Shoots Malaysia. In 1977, Goodall founded the Jane Goodall Institute, which supports projects ranging from agroforestry to micro-lending to primate research. Roots and Shoots, a program the institute started in 1991, focuses on environmental education, encouraging young people around the world to make sustainable choices. Goodall also leads by example — she’s a vegetarian out of concern for the treatment of animals and the damage that industrial livestock farming can inflict on the environment. “Jane’s message to us is that there are no substitutes for peaceful coexistence,” the group writes. “For humans, who have the power to destroy the Earth, its inhabitants, and all types of landscapes, peace is something far greater than merely the lack of warfare among humans. 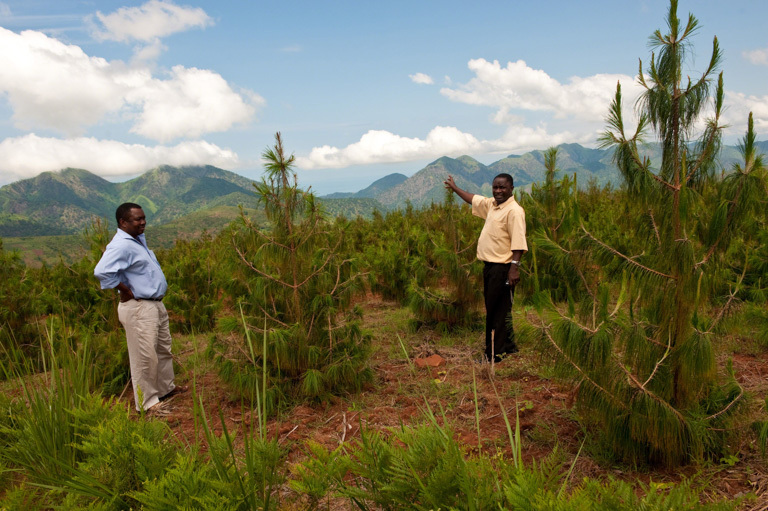 A Jane Goodall Institute forestry project, where land has been dedicated to growing consumable plants and timber, allowing deforested areas bordering on Gombe (visible on the mountains behind) to regenerate naturally. Image by Nick Riley. Banner image of Jane Goodall with orphan chimpanzee Uruhara at the Sweetwaters Sanctuary in Kenya by Michael Neugebauer.